"I was not in charge. 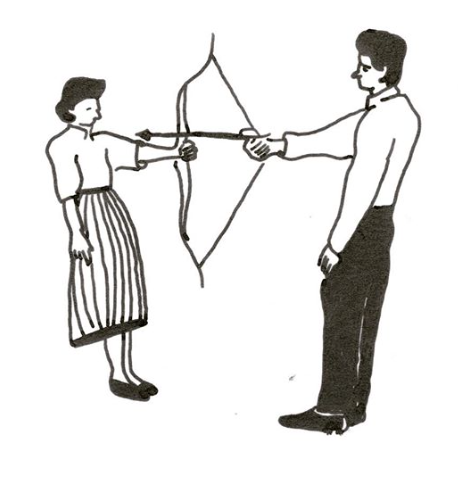 In Rest Energy we actually held an arrow on the weight of our bodies, and the arrow is pointed right into my heart. We had two small microphones near our hearts, so we could hear our heartbeats. As our performance was progressing, heartbeats were becoming more and more intense, and though it lasted just four minutes and ten seconds, I’m telling you, for me it was forever. It was a performance about the complete and total trust."